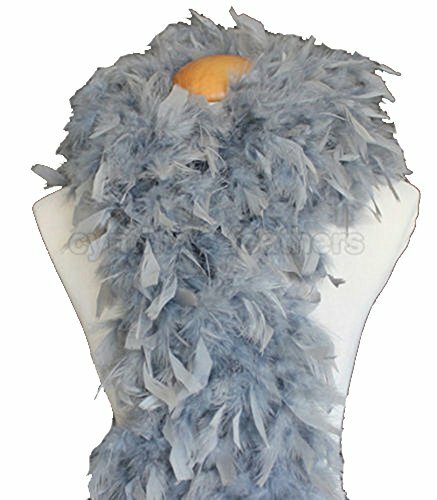 Feathered Boa Deals. Halloween Store. Incredible selection of Halloween Costumes, Halloween Decorations and more! All boas are brand new in a PVC bag. 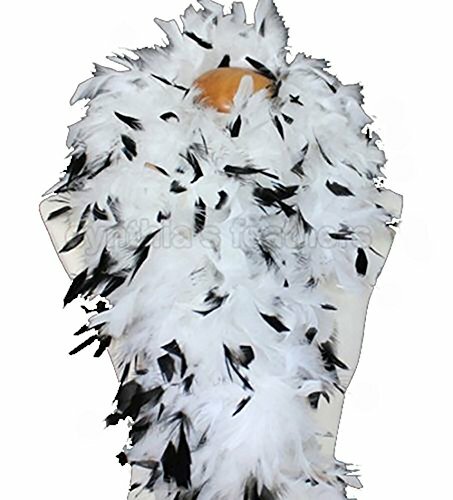 After you get the package we send to you, please pull the feather boas out of the bags outside of you door to get ride of the debris formed during processing and shipping, usually the boas need to be hung up for 48 to 72 hours before use.180g feather boas are stage quality feather boas Size: 80" (long) X 8-9" (wide, tip to tip), 180grams Condition: Brand New Package: Plastic Bag. We charge $2.99 per order for USA shipping doesn't matter what or how many items you purchase from us. Heavyweight chandelle boas are 2 yards (6 ft) long, and approx 7.5" in diameter. These fluffy boas are made from small turkey feathers called flats. 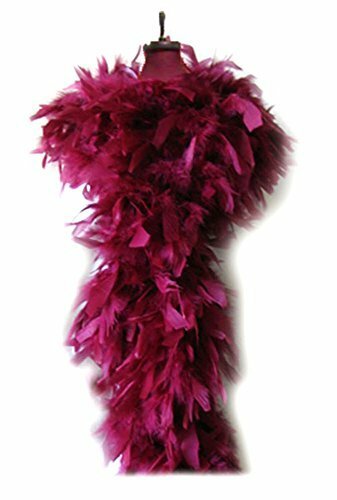 This heavyweight boa is the fullest and most luxurious of the Chandelle Boas. 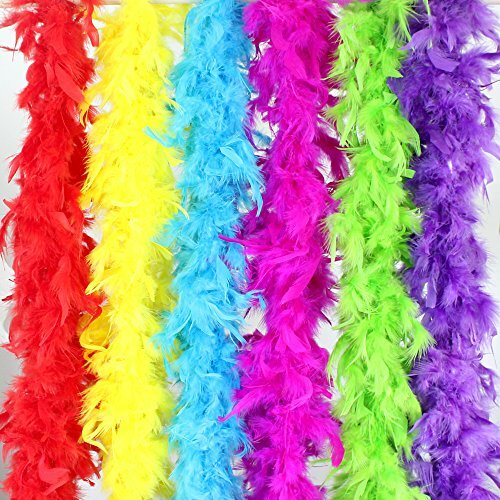 Super-value set of 6 colorful party feather BOA. 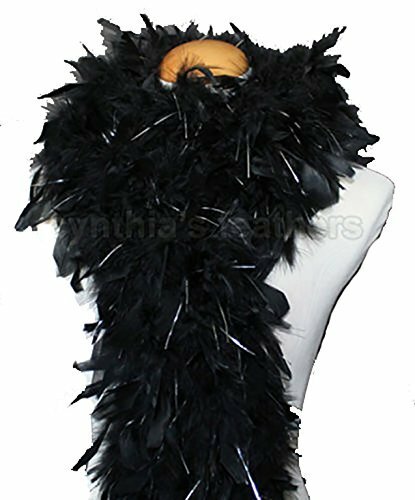 Feather BOA length: 2 Meters/66ft. 6 Different Colors: red, hot pink, yellow, green, blue, purple. Natural and eco-friendly, safe and non-toxic. 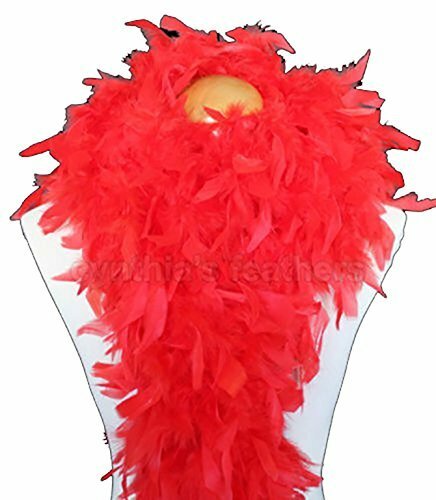 Package includes: 1 red 2M Feather BOA 1 hot pink 2M Feather BOA 1 yellow 2M Feather BOA 1 green 2M Feather BOA 1 blue 2M Feather BOA 1 purple 2M Feather BOA Our feathers are natural and of very good quality. 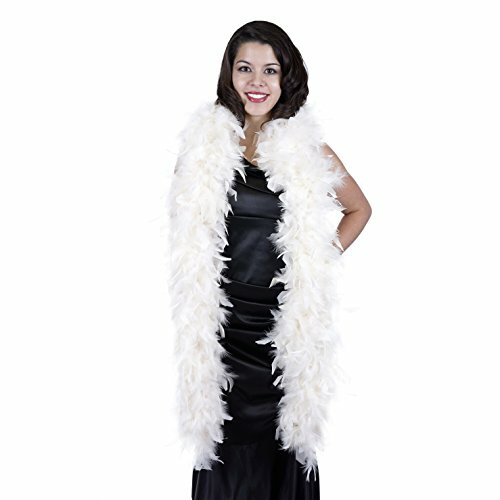 Our BOA has abundant hair to fully meet your dress up needs, not like those in mini sizes with very sparse hair. 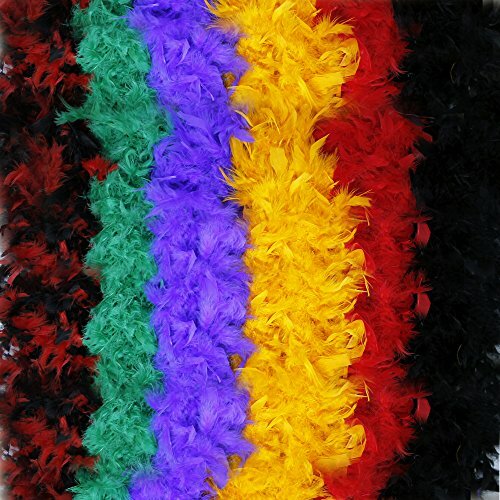 Our set of colorful quality Feather BOA is perfect for any party decorations or stage performances and they can perfectly flatter you or give you a perfect show. Add to cart now!